If one could liquidify a handful of Pre-Columbian emeralds of crystal-clear luster into a brewing potion of intense aloofness and exceptional grace, Silences by Jacomo would undoubtedly result. Or imagine catching the cool, bracing moments of air just after a torrent thunderstorm in a tangled green garden when the earth is still humid and electrified. In music scores those "rests" denoting periods of silence account for building tension, the tension felt before a flamboyant burst of the whole orchestra. The overall musical effect of Silences is comparatively akin to getting a pre-emptive glimpse of the slow, indeed silent passage of winter into a blossoming, riotous spring. 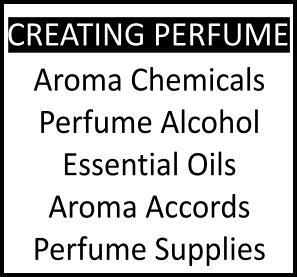 Launched in 1978 Silences was created for "the refined woman who knows how to combine fragrance and elegance, and for the mature woman wishing to add a great perfume to her social evenings and superbe attire". The noble lineage can be traced to the archetypal intense green, Balmain's Vent Vert by Germain Cellier, but also the intense dark green that makes the formula of Bandit eau de parfum so uncharacteristically verdant. The galbanum central accord that makes the vintage Vent Vert so achingly fresh is the razor-sharp cut that appears as a vibrant influence in such great green classics as Chanel No.19 , Givenchy III and Alliage by Lauder, with a passing wink to Sisley's Eau de Campagne and Lauder's more chypré progeny, Private Collection, as well. The early and mid-70s was historically a time of intense turmoil in the women's movement which brought about emancipated chypres and intense greens that were eschewing typical polite, ladylike aldehydic florals or the long forgotten seductive wiles of sultry orientals; those latter ones would come back with a vengeance however just about when Silences was introduced and would manage to knock it off its pedestral thanks to groundbreaking commercial success of Opium. Thus Silences was left in oblivion and remains a well-kept secret that deserves to be discovered anew. Jacomo's Silences begins its intensly green, bitter adventure via the magic of galbanum and hyacinth, and progresses to fresh-cut floral mid-notes with touches of metallic: green jasmine (hedione), rose and lily of the valley (muguet), which hint at the delights of the coming of spring amidst the coolness of wintertime. Silences dries down to a mild, powdery base full of the synergy of warm woods and mossy lichens. Whereas Chanel No.19 counterpoints the richly iris-laden heart with a leathery accent and prominent vetiver in the base, Silences is warmed through the fanning of precious woods and is even drier. The powdery, arid sensation that is left on drydown lasts on the skin for hours and can become quite seductive by itself; if not to others around you, certainly to yourself! A perfume friend, Maria of Bittergrace Notes, parallels it to "A romantic tryst in an untended garden, as imagined by a nun" in her notorious one-sentence reviews. "Still dewdrop in blend, she cascades without being too shrill" is how fragrance expert Marian Bendeth describes it. Luca Turin had described it in his defunct French 1994 guide as an unpretencious tapering silhouette of cut flower stems, even urging men to try a smidge of it in the morning if they're daring enough. It is rather unfortunate that those bitter green fragrances with a mossy face powder effect have gone out of fashion for quite some time, thus making a sophisticated marvel like Silences seem out of synch with our current culture worshiping at the altar of hypersweet, nevertheless for those who want to give it a go I find that it has its own share of perverse sexiness. Although the original comes in a black smooth, crescent bottle in a dark box with iridescence, there has been a new addition, the newer Silences Purple which is more of a sunny white floral in an identical bottle in purple with a matching box in purple iridiscence. The packaging for the classic however appears in two versions as well: the older, un-reformulated one is greyer with the name appearing once, while the newer packaging has the name appearing repeteadly over the box. Top: Galbanum, Green Note, Bergamot, Lemon, Orange Blossom . Middle: Orris, Rose, Muguet, Hyacinth, Jasmin. Bottom: Moss, Cedarwood, Sandal, Musk . 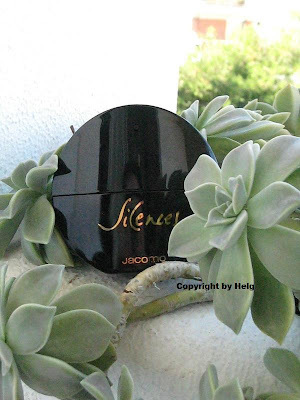 Jacomo Silences comes in Eau de Parfum concentration and is available on Jacomo's official site and some online stores for very modest prices. Photo of Jacomo Silences bottle © by Helg/Perfumeshrine. It seems that all things have their time; Silences is receiving renewed interest and attention. I was very extreme, at that juncture of my life. 7ieme Sens was more me. 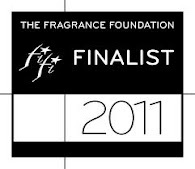 I love it today, but find edt to be all I can locate- and I probably would prefer the more concentrated version. Lovely to read all the thoughts and feelings about Silences. And today, smells MUCH better than so much out there ! that's so good when it happens, isn't it? It's a lovely perfume, still inexpensive and I find it a little warmer in the base compared to No.19. Can very well picture it as a getaway into green chypres. What a wonderful spring that must have been for you!! Thanks for another fine review, E. Wouldn't it be nice if there was a renewed interest in Silences, and the market saved it from the wrecking ball? I fear its days are numbered, at least its days as a true chypre. I only know the formula in the newer packaging, and would love to try the vintage. I have to say I am puzzled by that second set of notes. If there is any "blackcurrant absolute" in the recent juice, you couldn't prove it by me--and there is hyacinth, I swear. thanks for your kind words and I have YOU to thank for making me take a stab at it! 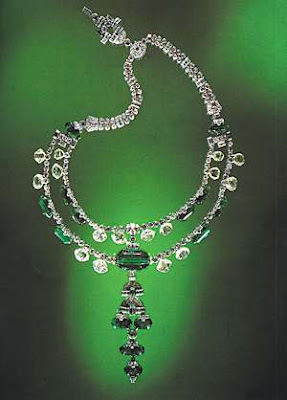 I think both versions are wonderful and it's a most elegant creation, yet easy to wear. 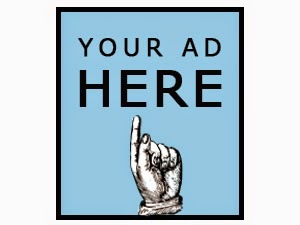 It would be marvellous if there was more interest for it because it deserves it. I can't say I get blackcurrant (cassis) either :-O But you know how I operate with "notes": I like to deconstruct them and see how they might contribute to a general effect rather than straining to catch the described ones. Hyacinth is definitely felt, very prominently so! Then again narcissus and hyacinth smell rather close to each other, so perhaps they made some slight change later on? I am lemming. This sounds like something I'd love. I found it on Amazon for $32 and change, including shipping, for 3.4 oz of the EDP. I'd never heard of this fragrance before, thank you! I don't think it's that huge of a matter (yet! ), it's still excellent. Enjoy what you have as there is a dab vs spray difference, mind you, so don't worry too much. if you like bitter greens, this is a natural. It's a thoroughbred and an utter pity it's been unsung for so long. That price is unbeatable! Hope you enjoy!! I received the "Silences" today, and I think this is the formula whose notes you've listed first. The name is printed on the box only once, and, while I'm no expert at identifying notes, I get galbanum, a "stemmy' green and a bit of lemon right away. The drydown is very dry, as you say; bitter. Wonderful, because so many fragrances turn sweet on my skin. I'll compare it to some old Givenchy III I have. It sems similar. It may be as dry as Bandit; I'll have to compare that soon also. Anyway, I love it! It will be perfect for spring and summer and, I suspect, for layering. Thank you for reviewing this scent.